Have your wishlist all made out? Want to pre-order, have us bring it to you at the Gathering, and receive 10% off your order? Select “Pick up at Gathering” as your shipping method. We will make and bring your tools to the Gathering, and they will be set aside ready for you to pick up. Your order will be 10% off, AND anything you purchase at the Gathering will also be 10% off, so you can still browse while you are there! This offer expires July 12 to ensure we have time to fill all orders before we head out for the Gathering! Did you see the new Straight Sided Pillows? Yes, they are awesome! Thank you all for playing along with us! Lori, Donna and I had a great time and were thrilled to do such a fun giveaway! We hope you all enjoyed it too, and are not inspired to go to the torch to make all manner of fabulous new glass goodies! The winner of her choice of a Slim Straight Sided Lentil Trio Small or Large is…. To find out the winner of Donna’s CG Beads Beadroller, head to her Site! To find out the winner of Lori’s great beads, magazine, and a special surprise she added to the winnings, check out her blog! And to all who didn’t win…Here is a great opportunity to save on the purchase of your own Straight Sided Lentil, any size, and in either Original or Slim profile. Just use discount code PlayTogether during checkout! 15% off. Discount code good until Friday 5/31 at midnight! The combination of a round CG Beadroller and a Slim Straight Sided Lentil (Spree) can make judging glass for intricate designs a little easier! 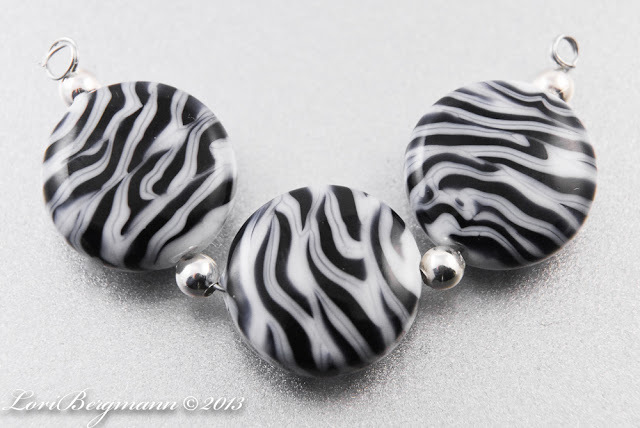 Lori Bergmann figured out a fabulous trick for making her awesome zebra beads! 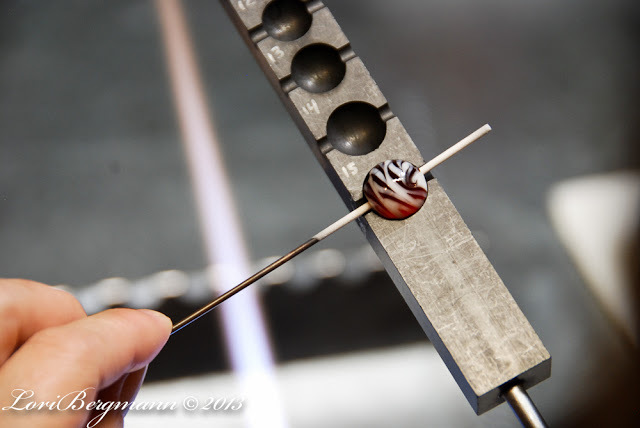 She wrote about it in her column in Bead Design Studio, the April 2013 Issue. Since we all love to play with other glassy folks, we decided to join together to share with you all the great tools necessary for you to try this yourself! You have 3 places to enter, and 3 places to win, in our Cross-Promotion Giveaway!! Lori is offering the magazine that contains the tutorial on her blog, along with the set of beads made for the tutorial! Head over to her blog to enter to win! Donna is offering the Round Beadroller on her blog! You can enter for that on her site! 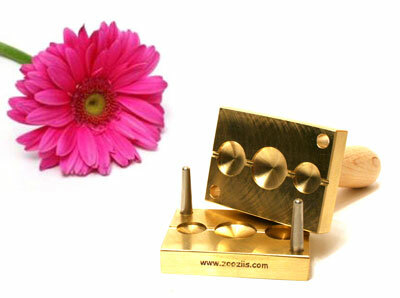 Zoozii’s would like to offer a free press to the selected winner here! So, please enter by commenting on this post! You can tell us your favorite ZooziiTool, a creative use you have for a ZooziiTool, or How many ZooziiTools you have! Get a second chance by commenting on our post about the giveaway on Facebook! What are you going to win from Zoozii’s? A Slim Straight Sided Lentil Trio Small which contain cavities in size 13, 15, 18mm. A Slim Straight Sided Lentil Trio Large which contain cavities in size 15, 18, and 21! 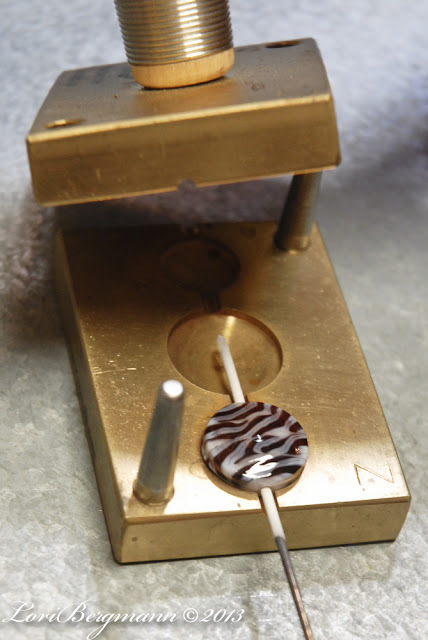 Lori used the 18mm size cavity so either press will give you the cavity you want. Check back here later this week, I’ll be posting my little trick using a bead roller, our press and some double helix glass, which was inspired by Lori sharing her tip with me! All 3 giveaways end Monday May 27th, at Midnight, with winners announced, on each page, on Tuesday!! Fun Find! Sale and Free Press! I found this adorable little book while poking through antique stores with my friend the other day. 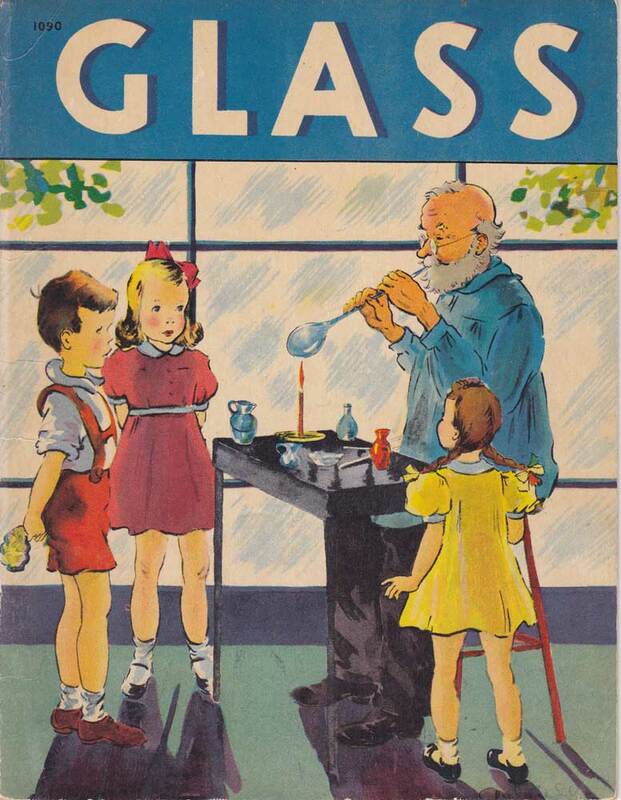 I love the kids on the front watching him blow glass over a candle…and I sometimes wish my MiniCC was a little more powerful! The weather is cooling off in my little part of the world, inspiring me to head to the torch a little more often, lately. How about you? Is the weather better suited for torch time where you are? I’m running a little sale on Facebook, and here. I find, time after time, when asked what the favorite press, my customers list of many great tools, but the one that is mentioned most often is the Straight Sided Lentil. Do you love your SSL? Do you want one in another size, or thickness? Well for the rest of today, and all day tomorrow, the Original and Slim versions, in all sizes, are on sale! 15% off! Everyone who purchases a SSL during the sale will be entered to win a free press. Want another option for entry? You can go to our facebook page, and “share” the post about the sale from there, on your own page, so all your facebook glass friends can join in the fun, too. All who share will be entered, so that could be 2 entries if you want to share and buy. Sale and entries for the free tool end Tuesday 9/11 at midnight. Announcing Winner of the Free Press! Congratuations to We have a winner! Zerrin Şen Ofluoğlu, you have won a free press. Please email me at Amy @ zooziis.com to tell me which one you want! Thank you to everyone who joined in the fun! 1) Comment here that you have added us to your RSS feed, or have signed up for the email notification from the blog. Entries will end on Thursday, August 30, at midnight.